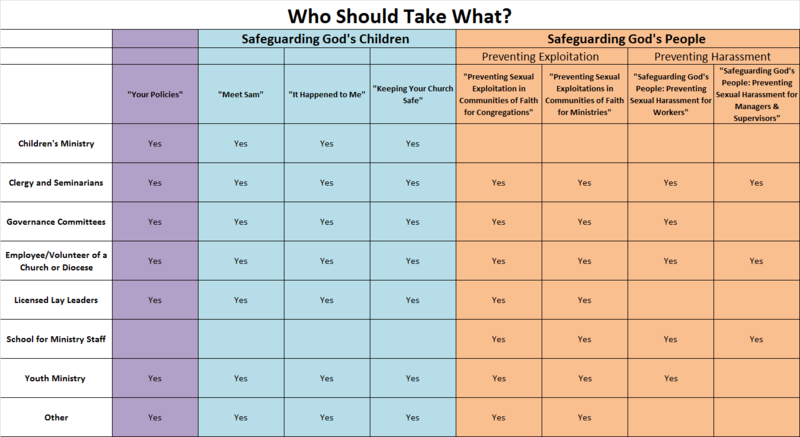 Safeguarding God’s People teaches how exploitation and harassment occur, the awareness we need to prevent such occurrences, and – should exploitation or harassment occur – how to respond. See below for a complete breakdown of who needs to take which courses. Every five years. If you aren’t sure about your renewal date, please contact Registrar Alyson Terry, 619-481-5455. We are pleased to offer this important training online at no cost. If you have trouble with registration or other general questions, contact Registrar Alyson Terry. If you experience technical difficulties, contact Praesidium technical support, 817-801-7773. Be sure to select “Employee” as your Classification even if you are a volunteer. This ensures that all of the modules you need to take will appear on the next screen. Fill out the form and click the link to enroll. Be sure to select the correct parish or location in the organization drop down. To begin taking training immediately, click the first link or follow the instructions to the right to login later. Enter your user login and password. To see what positions fall into each category, view this list.